The Cold Water Classicopen water swim was a huge success this year, with the most entrants thus far in the event’s six-year history. 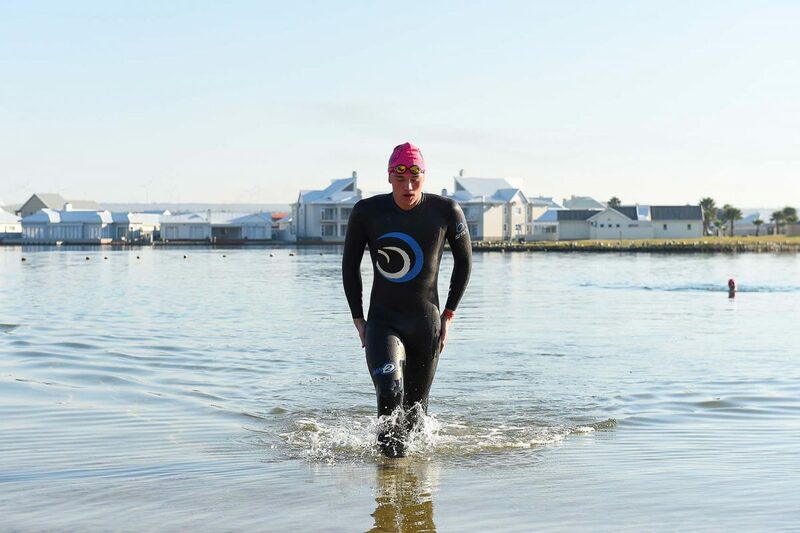 With an air temperature of 19 C, conditions on land were a stark contrast to the icy water that awaited swimmers from all over South Africa who descended upon Jeffreys Bay to take part in the swim. Only three swimmers entered the costume division of the triple mile, an official Robben Island crossing qualifying swim. Veteran PJ Duffy won the men’s section, while Megan Albertyn won the women’s division. East London swimmer Mbali Vellum in his first cold water swim had to tough it out to complete the double mile.